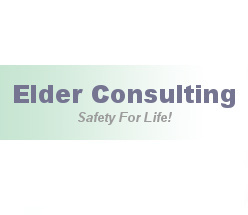 About Elder Educational And Consulting Ltd. Although Elder Educational And Consulting Ltd (EEC) is a young company there are many years of experience that creates the structure of our organization. EEC was born of a need to help others. Through the tools of instruction, and the development of sound safety programs, we give people a greater undertanding of what safety can do for them in their everyday life. Elder Educational and Consulting started out small, instructing Red Cross Safety programs such as Standard First Aid and CPR. We soon came to realize that the passion we showed to improve our instruction and to increase class participation had a profound effect on improving the knowledge retention in our students. Because we use principles to teach First Aid, class members are excited because they soon realize that they can adapt what they learn in our classes to other aspects of their life . We follow this same simple "principle" stratagy in all areas of business that our company undertakes. Our instructors and consultants are of the highest standard and are hired because of their continuous strive to further their knowledge and education in order to be proud in themselves for what they provide for you. We are also proud of our instructors, their skills, knowledge and their passionate advancement of safety. They are our family. Thank you for taking the time to visit our website, We hope as you browse through, you will take away some of the same passion that we have for safety.